Yesterday French President Emmanuel Macron took live, unscripted questions from an audience of 2000 tech entrepreneurs and investors at Station F, the undisputed hub of the French startup community. Ideas on Stage may not be a tech company, but we have helped thousands of start-ups with their pitches, and partner with many accelerators including Ashoka’s ShareIT.io, based at Station F. So we are very much part of the French Tech ecosystem, and very interested in how it is evolving under its new Director, our good friend Kat Borlongan. If you weren’t present for the event at Station F, you can catch the playback on Facebook LIVE here. 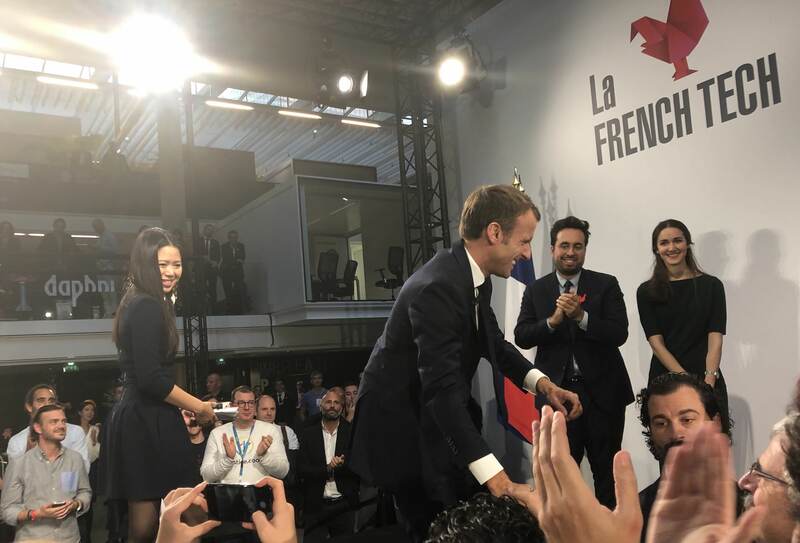 It’s no surprise to see Macron supporting tech entrepreneurs: while Economy Minister a few years back, he was regularly seen at tech events and even CES. But taking live questions, on a day when his government was under fire about the time it is taking over the cabinet reshuffle, was brave to say the least. Most politicians would have ensured questions were ‘planted’ in the audience, or simply gathered questions beforehand and addressed them in turn. Macron did neither. Questions were taken from a sea of raised hands by Kat Borlongan, not by Macron, and I know first-hand that those questions were chosen at random. I’m not going to comment on the politics or the quality of his answers. (I always try to stay out of politics.) But I will cover three important points that speakers can learn from what Macron did very well, and two more from what he could still improve. If Macron was able to listen to unprepared questions and seem completely at ease responding to them – on subjects as varied as diversity, anti-trust, ed-tech, visas and even pesticides – it is because he was extremely well-briefed. Birds can ‘wing it’. Presenters cannot. Macron knew when taking this stage that he would have to deal with a wide variety of subjects, and at no stage did he seem lost or short of an answer, plus he did not dodge any question as politicians tend to do. Whether you agree with his policies or not, he is certainly very well-informed. Improvisation is hard for anyone (and impossible for some). 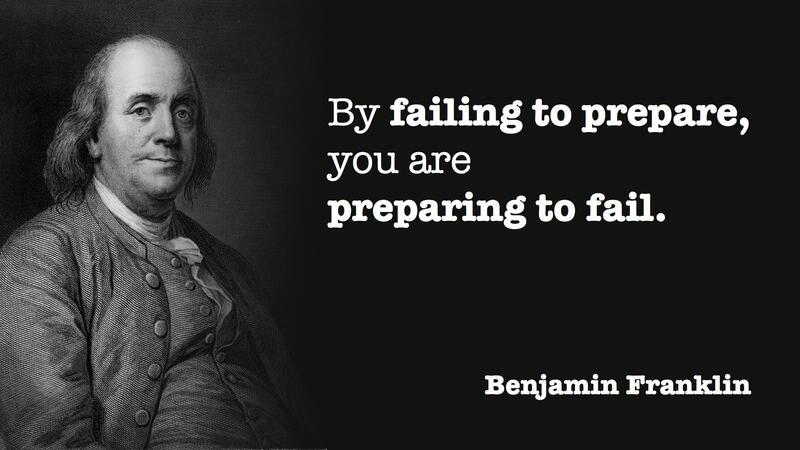 There is a danger that presenters think that their choice is either to prepare very well, or to improvise and therefore not need to prepare. That is wrong. Macron gave a fine example of how strong preparation makes you ready to improvise. One question received its own round of applause, because it resonated with so many entrepreneurs in the audience. The questioner explained that he finds it difficult to recruit employees because of the very high employers’ social charges, which mean in France that an employee costs far more than they actually take home. “My enemy is the URSSAF,” (the French Social Security agency). It would have been very easy to sympathize, and then to explain what his government is doing to reduce social security charges and government spending, but Macron chose a daring approach. He chose to say the opposite of what most entrepreneurs in the room believed. Immediately the audience had a tweetable, newsworthy statement, and he had everybody’s attention. He then went on to defend the French social model, and the importance of social security, while later saying that they are working to lower social charges and make hiring easier. But that would not have been as powerful without his daring, controversial statement that everybody will easily remember days and weeks later. Dare to surprise your audience. They will sit up and pay attention – and that is half the battle for any speaker. One improvement I have noticed in Macron’s speaking behavior over the years has been his smile. While his predecessor François Hollande strove in vain to appear presidential, and therefore always tried to seem serious and grave, Macron appears to believe in his ideas and policies, and he is now visibly positive when he explains them. Smiling is important for two reasons. First, when we smile, the audience can hear it. Our words sound more positive, more engaging, and less boring. Try this on the phone, or try to listen on your next call. You can tell whether your correspondent is smiling. The second reason is that we all have mirror neurons which unconsciously perceive and reproduce the emotions we perceive in others. If you see a speaker who appears negative, demotivated, or even bored, then you will experience the same feelings. If however you see a speaker who is positive, who speaks with passion, who clearly believes what she is saying, then you will feel the same way. Macron appeared to enjoy the exchange yesterday. He seemed positive in explaining his policies. That made it so much easier for the audience to feel equally positive. So those are three important lessons any speaker can learn from President Macron’s exchange yesterday. Here are two more speaking tips, which Macron can still improve on, and which we can all benefit from employing more. In a session where there are potentially hundreds of questions, answering only a handful of them will leave many people disappointed, and many subjects uncovered. This may be easier for the speaker, but it is not better for the audience. While Macron’s initial speech was refreshingly short, his answers to most of the questions were very long. Although he tried to make it up by staying longer than planned and taking four questions at the end when Kat had said there was time for only one, it would have been a far more dynamic, interesting and fruitful exchange if he had taken twice as many questions, and answered each one in half the time. Why? The danger when you give a long answer is that people forget the question, or they forget the beginning of your answer when you get to the end. It is also usually true that much of the audience has no interest in the answer to some questions, therefore it is wise not to take too long unless the answer is of clear interest to everybody. For example, the first question yesterday was about EdTech which is an important niche but a niche nonetheless, and after several minutes, anyone not in that niche was left wondering when Macron would finish and move on to a subject they might care about. Aim to keep any answer to no more than two minutes. When you set yourself this limit, you will be amazed at what you can say in those two minutes, and it will be more powerful than a comprehensive 5-minute answer. Many speakers fail to pay attention to the end of their speech, or the end of their sentences. Yesterday, Macron was able to speak clearly and coherently for minutes on end, but then once he would start to wrap-up his answers, he appeared to run out of words, or out of breath, and tail off. Twice the audience though he had finished, and applauded when in fact he had not properly completed his sentence. On several other occasions, it was clear he was already thinking of the next sentence, and lost power at the end of the current sentence in his haste to begin the next. This is one of the most common problems I encounter when helping speakers. Sadly this lackluster finish also happened right at the very end of the evening when Macron gave a call to action to the entrepreneurs in the room. This was an excellent way to finish, but unfortunately the last sentence tailed off, and ended up with slightly awkward applause punctuated by a slightly embarrassed “Voilà” from the President. 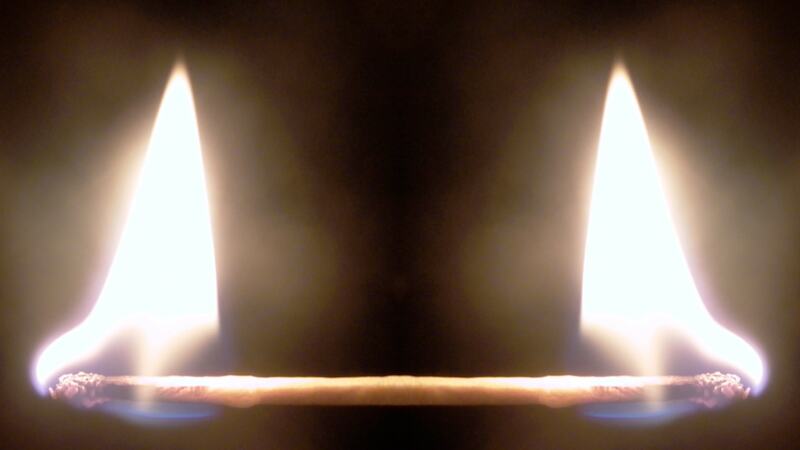 Think of a sentence like a two-headed match. It should begin powerfully, like striking the head of a match causing it to burst into flame. Then, keep your message burning, ensuring nobody switches off. And finally, at the end, when a typical match or dull statement would normally sizzle out into silence, suddenly and surprisingly, it reignites in flame! Macron could benefit from practicing conclusions. And any speaker can gain power and credibility by ensuring they finish each sentence – especially the final one – clearly and powerfully. Even when improvising. And if you have prepared well, you will likely have already generated several possible conclusions you can use that will ensure a big round of applause. President Macron is a powerful, confident communicator. And even though he is already a highly skilled speaker, he is not yet the finished article, and he continues to improve. That in itself should be a lesson to us all: every speaker, no matter how good, has potential to further develop and stretch their skills. It comes through practice, a desire to improve, and through a deep respect for your audience that drives you to give them the best experience possible. Macron gave French Tech a great experience yesterday. I have no doubt he’ll be even better next time.